“We have decided to adjust our fundraising model to split the funds raised to go 70% to the official Fundraising Partner chosen by the participant at the time of registration and 30% will be retained towards running and promotion of the event,” says Richard. “We like this approach as we believe it offers a strong incentive for a variety of youth-based organisations to get involved and raise as much money as possible which will then see 70% returned to them to use within their organisation to benefit youth initiatives in Kapiti, says Helene Judge, Campaign Manager. The real advantage of being a Fundraising Partner means the event is formerly organised and has infrastructure in-place to handle the registration and sponsorship platform. Groups just need to get a team together, seek sponsorship and come along for a fun day on the beach walking or running. The other exciting factor is when individuals register to participate they choose from the official Fundraising Partner list, so it remains a mystery until after the event as to the total funds raised and how those funds will be split amongst Fundraising Partners. “It’s therefore a good idea for Fundraising Partner’s to promote their involvement as then participants can be thoughtful about who they choose to raise money for,” says Helene. Approved Fundraising Partners’ at this time include El Rancho, Kapiti College, Kapiti Youth Support, Paraparaumu College and ZEAL. “We are hoping to add one or two more Fundraising Partners’ in the short term so watch this space,” says Helene. To be a registered Fundraising Partner you need to be working in the ‘youth space’ in Kapiti – go to the KR4Y website to register your interest which will be considered and approved quickly by KR4Y. Local business sponsorship has played a large part in the KR4Y campaign. Last year we achieved 27 local businesses contributing more than $6,000 to the overall amount raised through $500 Gold, $250 Silver and $100 Bronze sponsorships’. To be business sponsor you can do that easily online. 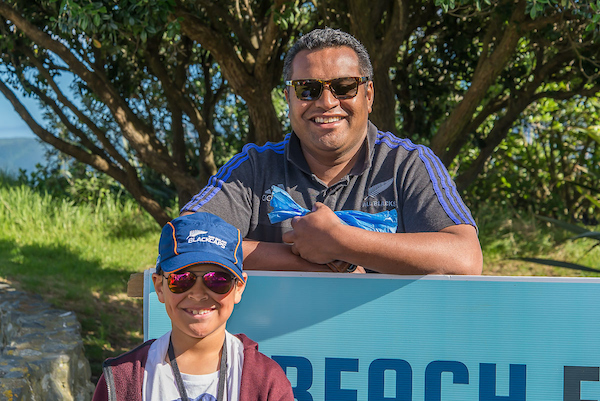 KR4Y is sponsored by Beach FM, City Fitness, Kapiti Business Projects, Kapiti Candy Co, Kapiti Law, Kapiti News, LowTax Accounting Services, Peter Jackson Plumbing, R-Line, Shoe Clinic, SignCraft, 16Nine Photography and Web Genius. Original generation time 1.5785 seconds. Cache Loaded in: 0.0189 seconds.